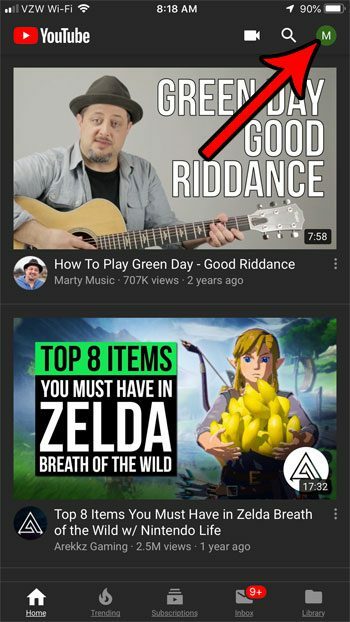 Much like its search engine, Google’s YouTube service provides you with search results that are based on your previous search history. This includes things like recommended videos that might be displayed for you. But if you have made some unusual searches in the past, or if someone else has used your phone to watch YouTube, then you might start seeing some results that aren’t things you want to see. 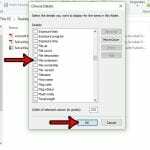 if this is negatively impacting your YouTube experience, then it may be a good idea to clear your search history and start fresh. 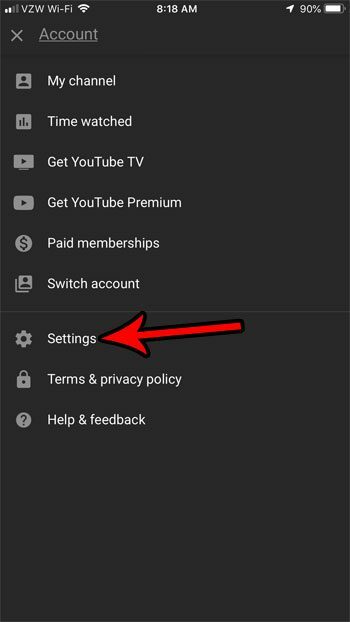 Our tutorial below will show you where to find this setting in the YouTube iPhone app so that you can clear your YouTube search history for your account across all devices. 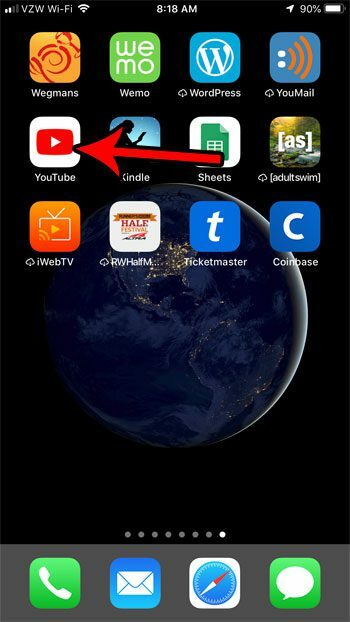 Touch your profile icon at the top-right of the screen. Scroll down and touch the Clear search history button. Tap the Clear Search History button to confirm. Continue with the section below for more information and pictures for each of these steps. 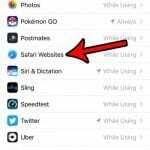 The steps in this article were performed on an iPhone 7 Plus in iOS 12. I am using version 13.40.7 of the YouTube app. 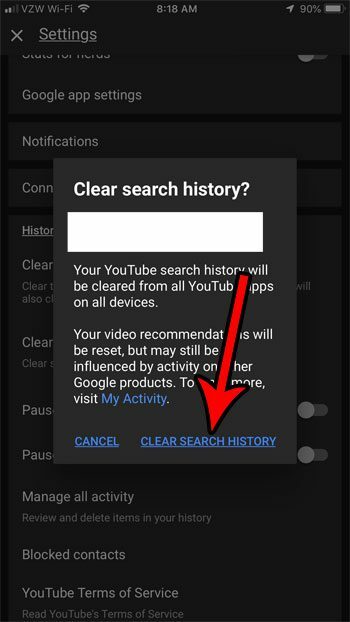 Once you complete the steps in this guide you will have cleared your YouTube account’s search history across all devices. Note that this only applies to the account to which you are currently signed in. This will not affect any other YouTube accounts you have, nor will it clear any search histories for other apps or services. 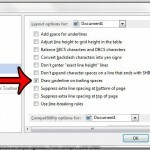 Step 4: Scroll down to the History & privacy section, then touch the Clear search history button. 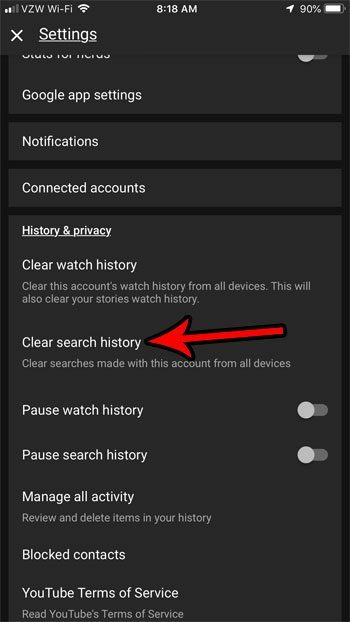 Step 5: Tap the Clear Search History option to clear your account’s search history. Did you know that YouTube has a night mode that can reduce the strain on your eyes when viewing the YouTube app in the dark? 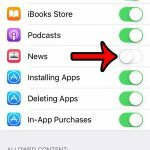 Find out how to enable YouTube’s night mode on an iPhone if you think it’s something you’d like to try out.